As the song teaches us, war is good for "absolutely nothing". Unless you're a genealogist. Military records are filled with data points every genealogist wants. 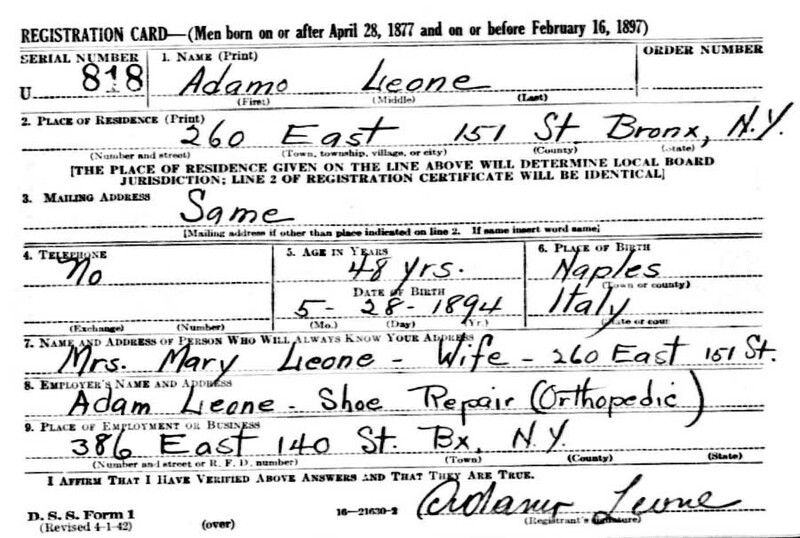 Perhaps the easiest military records to find are draft registration cards for World War I and II. The U.S. declared war on the German Empire on April 6, 1917, entering World War I. In 1917 and 1918, 98% of men in the United States who were born between 1872 and 1900 had to register for the draft. Each man went to a local place to have his information and signature (or mark) collected on a registration card. 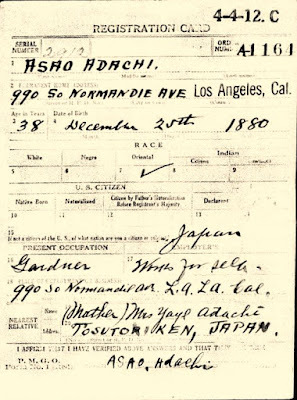 It's interesting to note that although my grandfather was the right age to fight in World War I, there is no registration card for him. That's because he went back to Italy to fight for his native country. The exact information collected depends on the state where your ancestor lived. "Has person lost arm, leg, hand, foot, or both eyes, or is he otherwise disabled (specify)?" We all know it was the attack on Pearl Harbor in December 1941 that forced the U.S. to officially enter World War II. A staggering 16.1 million Americans fought in World War II, so a draft became necessary. This was the Selective Service Act. The government registered more than 10 million men from November 1940—before the U.S. entered the war—until October 1946—after the war ended. The government took the extra measure to register older men between the ages of 45 and 64. Think about what a 64-year-old man probably looked like in 1941. Ancient, no doubt. Ten years away from reaching the limit of life expectancy! 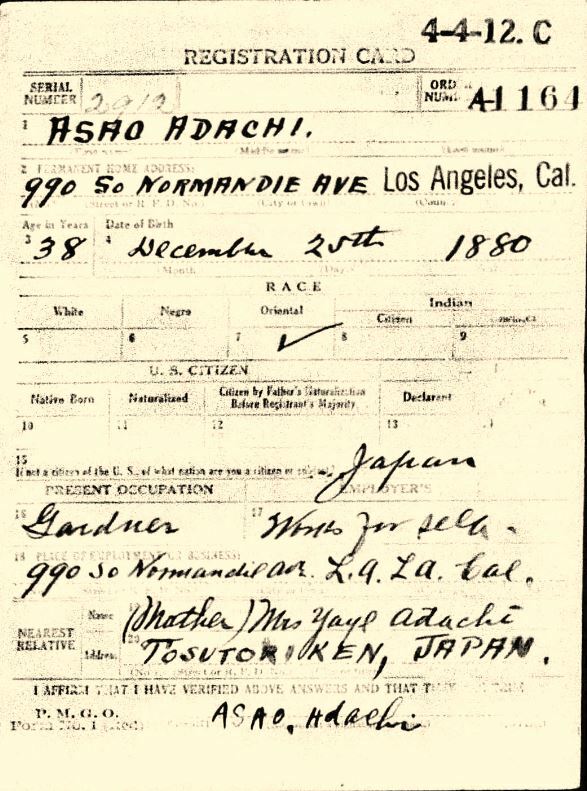 These "old man" draft registration cards were somehow completed in one day: 27 April 1942. The men had to have a birth date between two very specific dates: 28 April 1877 and 16 February 1897. Other obvious physical characteristics that will aid in identification"
A World War II registration card gave me a breakthrough. My grandmother's Uncle Semplicio's card gave me his Italian home town. That told me where my great great grandparents came from. Because of that card, I was able to find Semplicio's birth record, along with that of an unknown brother. The brother died as a child. These draft registrations took place between census years. You may find that they provide additional addresses to help you map your ancestor. Maybe they will provide an address that helps you find your ancestor within the previous or next census. And maybe you'll learn about a physical disability you might otherwise have never known. For example, my grandmother's Uncle Semplicio had an artificial eye. So that's why my mother was always afraid of him! all I can say the more I learn the better I will be. Thank ypou for this!